It has been a while since I posted a chapter in the "Hair Diary". 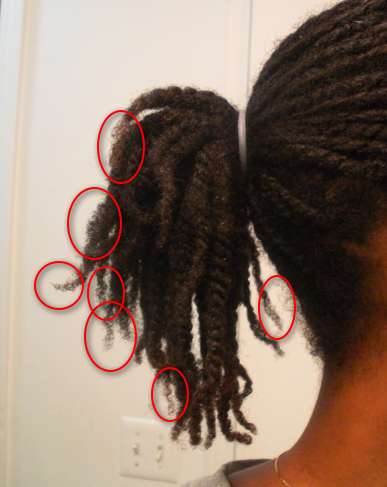 Well, up until recently, I had been wearing small twists (see the "Twist Series") for about 4 weeks. 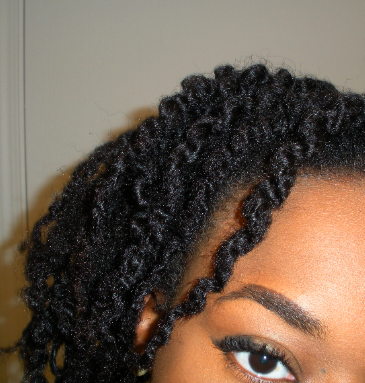 Prior to that, I had another set of twists. Now I'm taking a break and alternating between braid-outs and braided updos on straightened hair for the next three weeks. 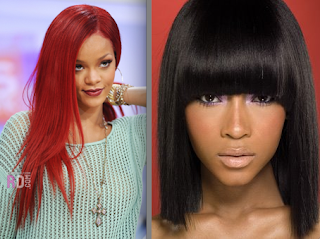 LEFT: What I would I call an example of what healthy, layered ends look like. RIGHT: An example of a blunt cut. Even when our hair is cut in such a manner, it will gradually grow out of the blunt cut (and similar to what we see in the LEFT photo). 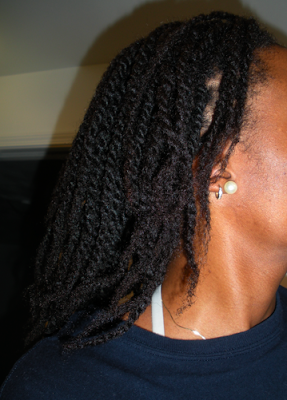 Though split ends were minimal, I felt like the ends of my twists needed a good trim because they were thin. I gave them one ... and some. I cut 2+ inches total (maybe more, I don't know since I stopped measuring after a while). (Twist shot from Aug. 2012.) This gives an idea of the ends I have been holding onto for almost two years now (aside from a few dusting sessions). The final product. (After a light flat-iron, braids, and another cut included in the 2+ inches.) 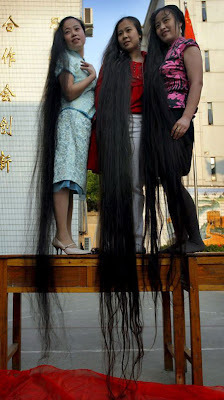 I had to talk myself out of cutting another couple of inches. The final product. 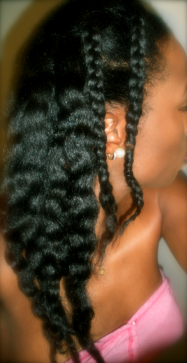 (After a light flat-iron, braids, and another cut included in the 2+ inches.) Tried to get a complete shot of the ends but after several attempts, I gave up for the day. I'll try again in the near future. 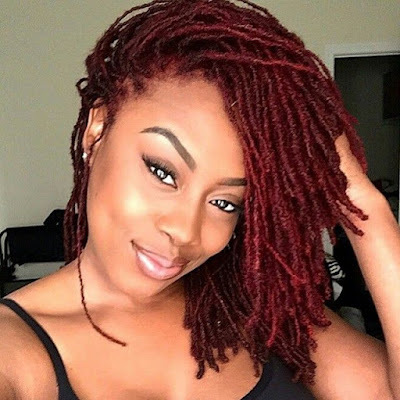 Your hair does look great! You hair looks great. I ended up doing this last year but kept cutting to APL. I went from almost waist length to APL talk about scissor happy.